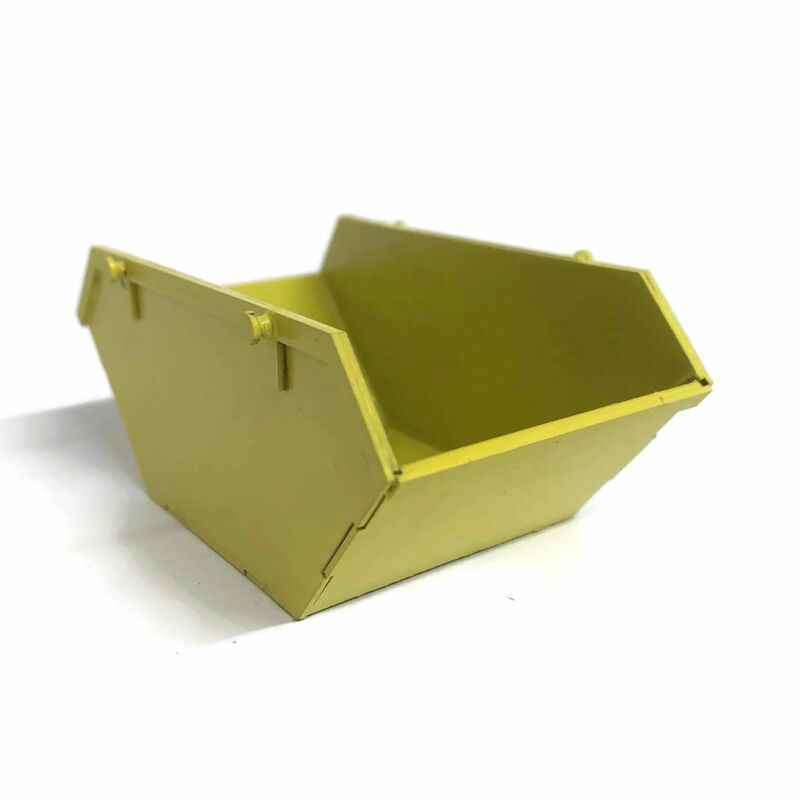 A Laser Cut G scale / 1:22.5 scale small rubbish skip. Perfect for detailing G scale any model railway layout or diorama set in the 1980's on wards. Supplied as an unpainted self-assembly kit. Waterslide transfers for "Skip Hire" and hazard markings also included. Kit builds 1 small skip. Laser Cut 0.8mm laserboard kit - Will need waterproofing & painting for outdoor use. Deluxe Materials Roket Card Glue & Fine Tipped Applicator Highly Recommended. Acrylic paints recommended (We used Hycote Fiat Golden Yellow in the pics above).